Newspapers have been our treasured companion to our early mornings, mid-day travel to work and for discussions on various current issues all through out the day. We all associate the values of education and information with every newspaper's primary functions. From being a part of the nation's struggle to independence, to later resisting the unforgiven phase of press censorship during the National Emergency and now as it keeps pace with the real time world around us, newspaper industry has gradually evolved in the country. As a primary function of newspaper, readers associate the medium that represents the might of the pen with social reform and national movements. As editorial pieces during the freedom struggle by national leaders were read and discussed across societal spheres, newspapers in India have had a social reform history. Now as we live in a fast-paced world constantly being bombarded with news through multimedia formats, the newspaper that reaches us the next day does not fail to contribute potentially to our understanding on events across the world. Newspapers as a part of their social-responsibility function even today believe in coming out with social initiatives on a mass scale. English newspapers recently have come out with various social initiatives concentrating on the manifold issues that we as a country our facing. To name a few- No TV Day, India Positive and A Life in the day of India have been some of the recent initiatives launched by newspapers like Hindustan Times, DNA and The Times Of India respectively. These initiatives though chalked out for the society are talking about bus rides across the elitist circles of SoBo (South Bombay), large size hoardings reading "I am India Positive" with smiling faces and partnerships with urban events like Kala Ghoda Festival. So Adgully tried to gauge the sentiments of professionals and the readers of these newspapers to understand if they really relate to the 'initiatives' their newspaper comes out with and is there really 'social' value to it. Kalpana Bansal, Author, Up The Beanstalk, says, "I personally feel that working people have no time to reckon with these campaigns, especially the passive ones such as India Positive and No TV Day. In fact, I only registered these campaigns when you mentioned them. I did notice a couple of hoardings for DNA but since I do not read the paper, I did not even bother to go beyond the logo colours. I do not think any amount of campaigning by any publications would change mine or other's reading habits. For me, a paper is a paper and serves a functional purpose of getting the headlines to me in a convenient manner. Otherwise, more than 60% of the publications today waste too much space on clutter that is not relevant. People are hard pressed for time." She further adds, "I also believe that a person does something only if he believes it is important to him, not because someone tells him that it needs to be important. Publications as such lose no money on all this, as they have the media space and the circulation, so it's about incremental efforts. Someone once said 'Advertising is what you do when you don't know what to do'. I personally feel that charity to others happens after charity to myself, and have no qualms about saying that I do not subscribe to any causes anywhere." Echoing similar sentiments were many of the readers that we spoke to, some of them do not understand why TV should only cause discrepancies in reading habits while internet and mobile could be the real cause. Some of the other readers wanted to know what has the publication done except for putting up hoardings to make India really 'Positive'. Readers see it clearly as revenue models to have tie-ups maybe with some listed restaurants or merchandise on the outcome of the initiatives' jokes, anecdotes and stories. Shreya Shukla, 23, Student, SNDT, says, "Newspapers undertake these initiatives like No TV day but how does it help? How many people are actually going out there and taking active part? Also even if they participate, is there a lasting effect? I think newspapers need to undertake social issues more seriously instead of doing it only for the sake of keeping up with competition." Sanjay Ranade, Reader, Department of Communication and Journalism, University of Mumbai, says, "Newspapers have compromised the ideology of journalism for commercial survival. As a result autonomy, public service and ethics are fast eroding. At the same time, apart from the cover price and the advertising, no new legitimate models of revenue have been designed by newspapers proprietors. The emphasis here is on legitimate because illegitimate and unethical models have emerged and are being used extensively. One of these is entertainment masquerading as journalism. 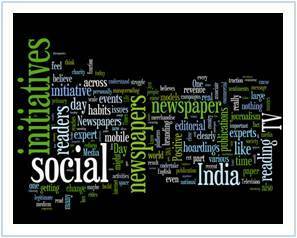 The so called social initiatives are also commercial events masquerading as journalism. Media effects are getting more and more diffused therefore it would be naive to believe that audience taste and preferences would change as a result of these events. They are definitely helping the newspapers tide over their financial troubles." Media experts say that these initiatives are nothing but branding activities by publications, maybe they have social messages but end of the day the core activity is to look for an apt branding opportunity. One of the expert says that TOI's recent initiative 'A Day in the Life of India' is nothing but to build the same traction and interactivity that is happening on social media platforms like Facebook and Twitter on the publication's own digital platform. "The initiative is nothing but a clear revenue model to build traction and further merchandise the contribution by readers," the expert says. Talking about the 'No TV Day' experts say it looks like an anxious effort planned at getting back on Television as a medium. The point that Television has damaged reading habits is old and passe now, the fact is internet and mobile has just deepened the cut for masses not reading enough. Hence the experts feel that initiative is wrongly placed in terms of just targeting TV and why not target mobile too but again that would upset potential advertisers who buy the ad spaces in the newspaper. Media experts say that any social initiative has to be clearly backed by a very strong editorial base too. 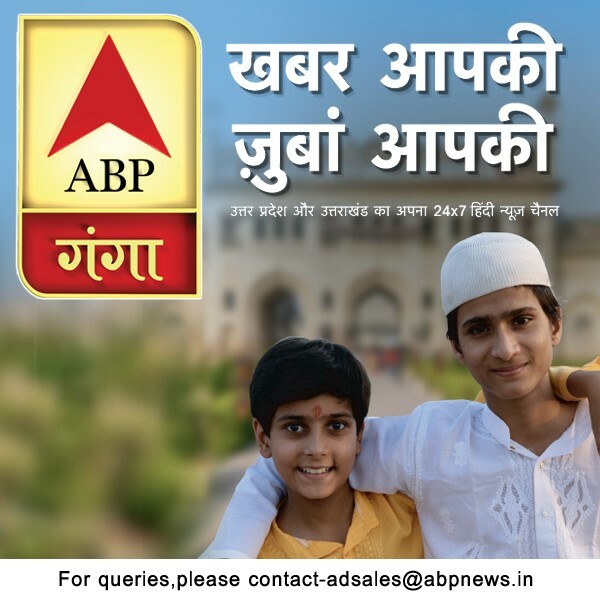 They say when a publication propagates a message through hoardings, on ground activities and TV commercials, the editorial policy of the newspaper should also be in sync with the social message. One of the expert says that Indian regional newspapers have been far better in creating social change platforms than their English counterparts. The expert says that Hindi dailies have been able to create many large scale and more localised initiatives across various regions, which have been successful because they depict the editorial thinking of the newspaper and hence the readers connect with the initiatives. Perspective | Are kids the advertisers shortcut to success...? AgVoice | Wearing the Pants!